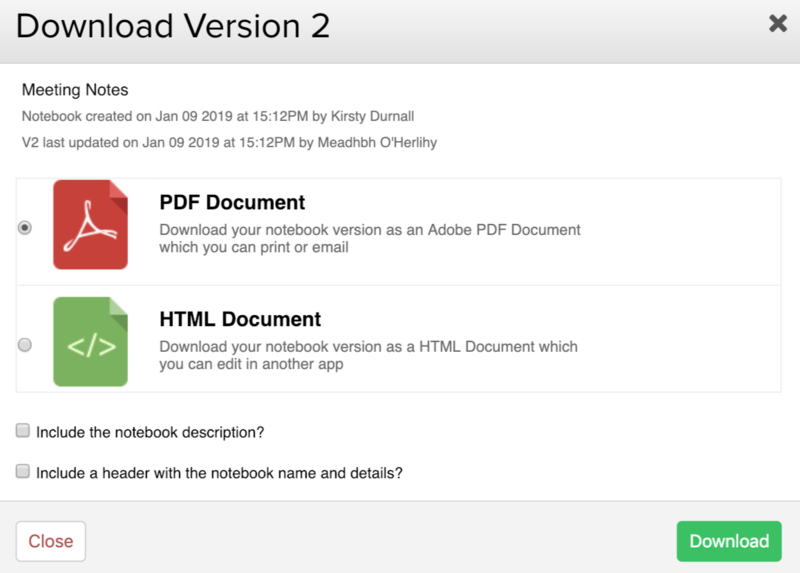 Within Teamwork Projects, you can download a copy of a notebook in HTML or PDF format, so you can keep it offline or share it outside of Teamwork Projects. To do this, go to the notebooks area of your project. 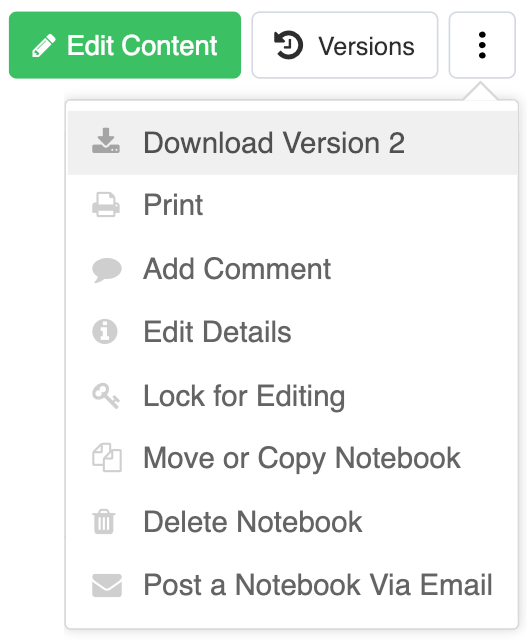 Select the notebook you want to download from the list. Under the options button (three dots) in the top right of the screen, you can choose to download the version you are currently viewing. You will then see an options to choose the format, and select whether to include the notebook description and header.